Yeah! 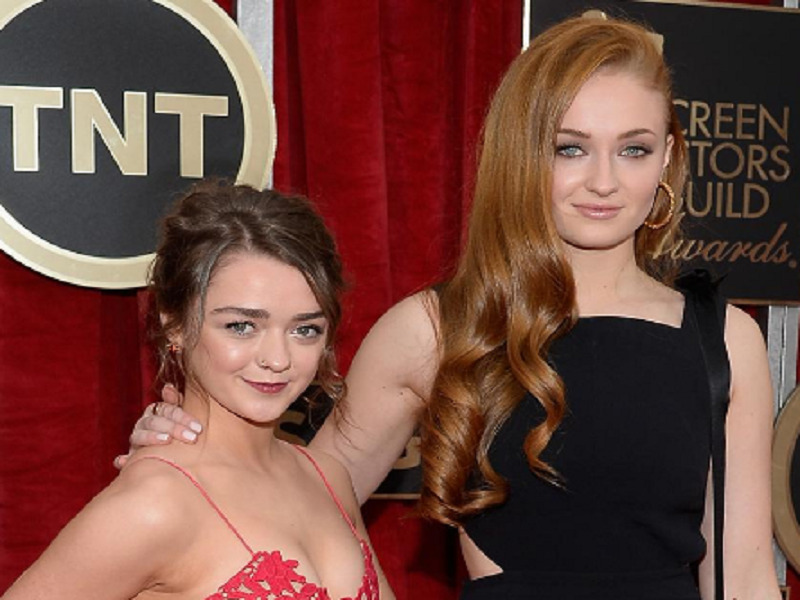 That’s right, Game of Thrones actresses Maisie Williams and Sophie Turner recently got tattoos and that too from the same parlour and same artist. Bonded by blood, divided by distance, but the Stark sisters are still going strong in the game of death. And to celebrate, this the duo got inked, at least that is what we are guessing. Yeah! That’s right, Game of Thrones actresses Maisie Williams and Sophie Turner recently got tattoos and that too from the same parlour and same artist. Earlier this week, both the stars visited a tattoo parlour somewhere in Northern Ireland, where the HBO fantasy series is currently being filmed. The parlour goes by the name of Belfast City Skinworks, and the news got out when the artist who inked them, Miss Kat Paine, shared a selfie she took with the two pretty girls on Facebook. But she didn’t reveal the design of their new tattoos as she thought it was up to the actors’ discretion. However Paine did confirm that the actresses asked for matching designs. Rumour has it that our sassy Sansa got something resembling her house sigil, an abstract dire wolf but images of the actual tattoos haven’t surfaced as of yet. Sources revealed that Arya followed the steps of her sister that is Maisie Williams asked for something similar as well though she hasn’t personally posted anything either. Some loyalty huh? Paine is most excited as of now as the ladies have promised to bring some men along too. We hope the same and ardently ask the actors to post pictures of the bodyworks ASAP!